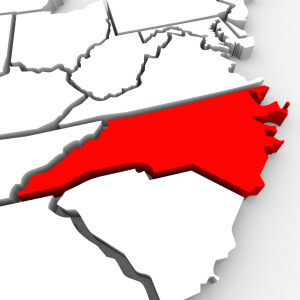 Bill in North Carolina Senate splits Auto Insurance Industry | bizveo! Aimed at increasing competition within the automobile insurance industry, a senator in North Carolina has recently introduced a bill that he hopes would help to save insurance customers money. Certain insurance carriers, and the insurance commissioner for the state of North Carolina, have suggested that the legislation would actually do the opposite of what was intended, and would make rates go up. The insurance industry has come down on two sides of the issue with a coalition named Fair Automobile Insurance Rates supporting the bill. Referred to as FAIR, this coalition counted members including Geico, Allstate, State Farm, and Farmers. Against the bill is another group of insurance companies with members like Nationwide, GMAC, N.C. Farm Bureau, and Discovery Insurance. Thus far, the increases for insurance rates in the state were guided by a department of the government called the North Carolina Rate Bureau. Much like senators might request too much funding for their state only to receive a lower amount of money, the same methods are used by the insurance companies to obtain state-condoned rate increases. The way in which the N.C. Rate Bureau would operate would include taking a number from the insurance industry and its carriers, and using it to negotiate with state lawmakers on what rate increases would be appropriate. The rates approved by the government were very nearly always less than what was requested by the insurance companies. The senator who introduced the new bill, Wesley Meredith, suggests that his bill would make it easier for insurance companies to give people living in high rate areas a lower rate based upon good driving habits. The bill would also make it possible for insurance carriers to hike rates up on unsafe drivers. Current methods for determining insurance rates ensure that about three-quarters of residents in the state have to pay a premium to cover the increased costs of covering a high-risk driver. Some lawmakers within the state have suggested that this method of charging premiums has forced good drivers to pay for the mistakes and poor driving habits of high-risk drivers. Some in the state have even suggested that the current design of insurance premiums has made it more expensive for women drivers and older drivers, and has also made it hard for any change to come about within the industry as a whole. Numbers suggest that drivers who have to pay more to cover bad drivers end up with about $16 in additional charges on their bill. One interesting element of this bill is that one of the companies that are in opposition to the bill, Nationwide, donated money in the past to the senator’s campaign fund. The senator has suggested that funding from insurance companies in the past did not influence his decision to put the bill through the government. There are other bills currently working their way through the senate chamber that would also impact the state’s insurance industry. The senator who introduced those bills, Tom Apodaca, suggested that his bills would offer a better approach to the issue of making insurance rates fair across all drivers in the state. Passage of any of the bills might come down to which bill the Republican-majority senate would favor. What’s the final verdict, will this increase costs for the people?